It is important to get the assistance of a construction consultant when handling medium to large construction projects. Usually, general contractors will take the responsibility of completing a project for a bid price. This means that your contractor will hire the subcontractors and therefore you will only have to communicate with the contractor directly. Since your entire project is in the hands of your contractor, it is vital that you choose one that processes the right experience, knowledge, and integrity required to handle your project. It is important that the cost is not the main reason why you choose one contractor over the other. As these benefits can quickly evaporate if the project faces delays or modifications. It is best to assume that there will be problems with any contractor that will have to be handled as and when they happen and instead look at a person who you can work cooperatively for the duration of the project. The contractor should provide you with clear updates on the progress of the project and inform you about any foreseen delays. However, if there are issues that cannot be solved and those that have caused delay and other claims, it is advisable to speak to a lawyer or go through construction mediation process to resolve issues. Construction already costs a ton without factoring in the costs of litigation, which is becoming more common by the day. 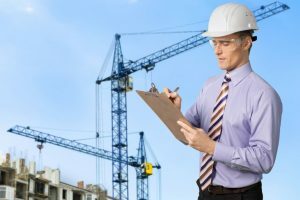 According to Lyle Charles Consulting, construction turnaround services can help cut those costs and provide a fair resolution to disputes that commonly arise.